Made with a cotton flannel front and soft absorbent terry cloth back. Fastens with KAM snaps instead of velcro to prevent your baby's skin from getting scratched and irritated. 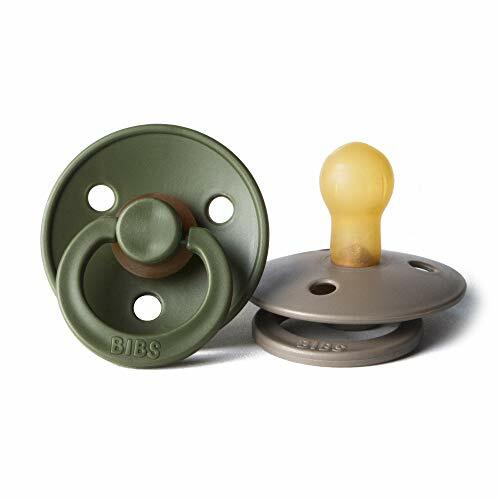 Pacifier can be attached directly to the bottom of the bib and easily removed by opening the snaps. Machine washable in cold and tumble dry. 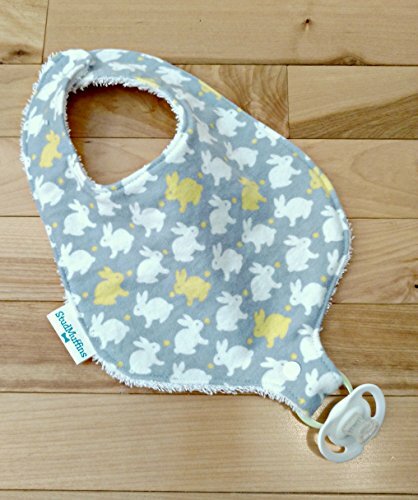 Due to the custom nature of these products pattern placement will vary and no two bibs are identical. I do my best to maintain consistency. Please remember to remove bibs while child is sleeping. I take pride in my work I test out all new creations on my own children before making and selling them to clients. If a new design doesn't meet my standards it will never appear in my shop. I am a mom of three kids and believe in the importance of good quality and craftsmanship. Best gifts for your baby! 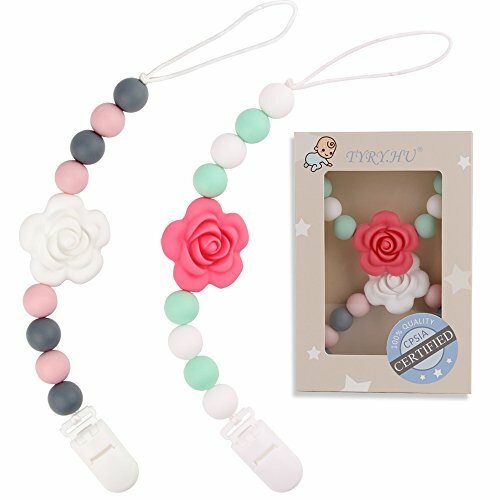 Holds pacifiers and teething toys, keeping them close to baby and off the floor. Attach to clothes, blankets, toys, strollers, or car seats. 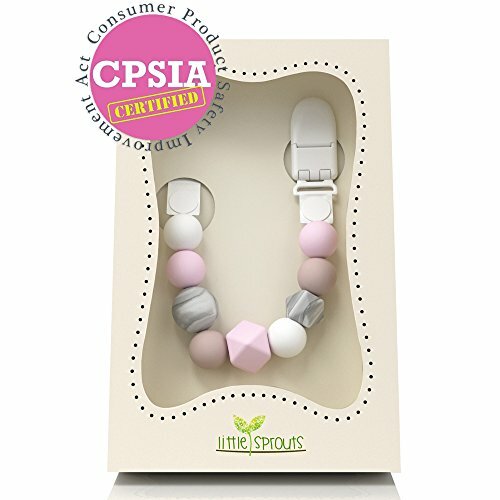 Premium quality chewable silicone beads provide instant teething relief and gum massage. Stimulates visual, motor. Safety is our priority! BPA Free PVC Free Lead Free Metals Free Phthalate Free Toxic Rust Free CPSC/CPSIA CERTIFIED!FDA approved 100% Food Grade Silicone Function: 1. 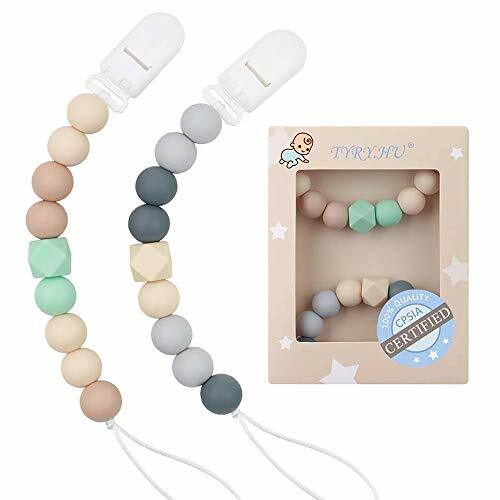 Silicone teething beads are ideal for soothing those tender gums. 2. Works with Pacifiers, Binky, Soother, Dummy, Soothies, MAMs and Nuks. 3. Attach pacifier clip to clothes, teething rings, toys, blankets, drool bibs, strollers and car seats. Pacifier Clip Care: Clean with warm soapy water, on the top rack of the dishwasher, recommend disinfectant pacifier wipes. After washing let it air dry completely or dry it with a soft clean cloth. Store in a clean container or a zip lock bag until ready to use. Baby Safety: Not for use while baby is sleep. Never leave your baby unattended with pacifier clip. Before each use, carefully check your pacifier holder. Notice: Clothes, Pacifiers, and Teething Toys are Not Included. 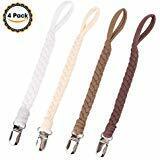 Never Make the Pacifiers to Dropping on the Dirty Floor Anymore!Kapihouse Pacifier Clip Help Your Life Easily and Make Your Babies Keep Smile!Product Details: Material: Polyester braided rope and stainless steel clipIngredient: BPA Free, Phthalate Free, Latex Free, Lead Free, Non-toxicTotal length: 9.6 inColor: White,Beige,Light Brown,Deep BrownPackaging includes: 4Pcs Pacifier ClipsWhy to choose our pacifier clip: Soft, gentle, comfortable and safe to babiesSturdy and durable clip on clothes without tearing clothes100% safe and non-toxic, No chockingKeep the pacifier or toy don't lose and cleanEasily wash it with soapy water and then air dry, no rusting after long time use4 different colors and modern design perfect for girls and boysWorks with universal pacifiers, teething toys or soothieA cute gift for your cute babies, they will love these pacifier clipsRisk-free Warranty60 DAYS replacement and refund warranty offered. Welcome to contact us when you meet any questions. Best gifts for your baby! Keep your baby's pacifier and silicon clip within easy reach and off dirty floors and surfaces. Textured surfaces enable active gums to exercise and promote the development of strong healthy teeth and gums. Unique shapes and textures promote tactile learning and aid in developing cognitive and fine motor skills Safety is our priority! 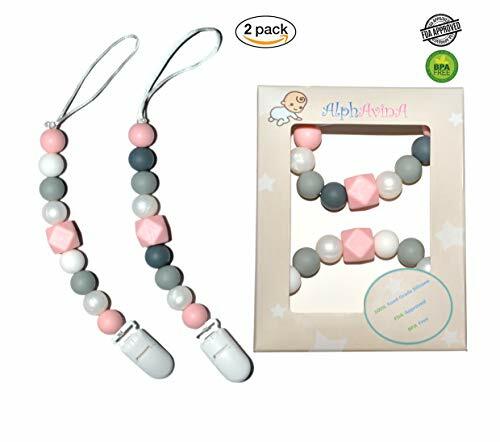 FDA approved 100% Food Grade Silicone BPA Free PVC Free Lead Free Metals Free Phthalate Free Toxic and Rust Free Function: 1. 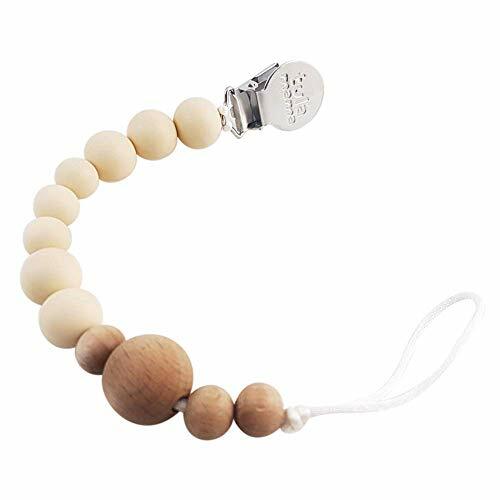 Silicone beads are ideal for soothing those tender gums. 2. Works with Pacifiers, Binky, Soother, Dummy, Soothies, MAMs and Nuks. 3. Attach pacifier clip to clothes, teething rings, toys, blankets, drool bibs, strollers and car seats. Clip Care: Clean with warm soapy water, on the top rack of the dishwasher, disinfectant pacifier wipes. After washing let it air dry completely or dry it with a soft clean cloth. Store in a clean container or a zip lock bag until ready to use. Baby Safety: Not for use while baby is sleep. Never leave your baby unattended with pacifier clip. Before each use, carefully check your pacifier holder. Notice:Pacifier and Teething Toys Not Included. Shopping Results for "Binky Bib"